In an effort to pinpoint and acknowledge young and prospective apps, world’s leading software directory FinancesOnline.com analyzes hundreds of promising B2B solutions. Companies’ owners receive nothing less than top expertise in several business categories, and turn to it regularly for interesting and moneyworth solutions. This is why we feel delighted to share that FinancesOnline’s experts decided to promote CadmiumCD to the corporate community, and honored it with two of their most valuable productivity awards. CadmiumCD was distinguished with the 2017 Rising Star Award and Great User Experience Award for event management software, both due to its user-friendly interface and reliable support. The Rising Star, in particular, supports and acknowledges systems that develop fast, and are rated notably well by customers despite of being relatively new on the market. 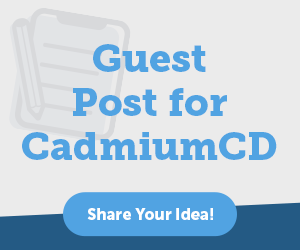 According to experts, CadmiumCD is equipped with all necessary features to meet users’ expectations, as it simplifies the collection, management, and sharing of content for all their events. 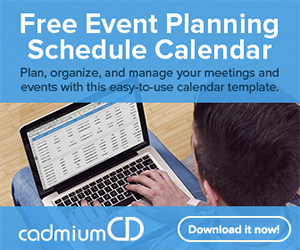 CadmiumCD attracted the expert community’s attention with several unique features, among which are speaker management and event apps. According to FinancesOnline, the system does not only help create and promote successful events, but is also a very suitable alternative for those who wish to monetize them. In fact, CadmiumCD allows selling sponsorship deals, provides the necessary ad space, and makes it easy for participants to complete their payments all from the same dashboard, and eliminates the need to use expensive third-party systems.